We are a leading Manufacturer of ball satning machine from Mumbai, India. Ball Satning Machine is manufactured and exported by us following fair and transparent business policies and followed by this clients demand this offered range extensively. Furthermore, smooth functioning of the machines and its user friendliness have also made it immensely popular in the market. 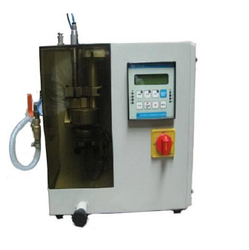 The sample of the product made by the machine is also attached. Looking for Ball Satning Machine ?